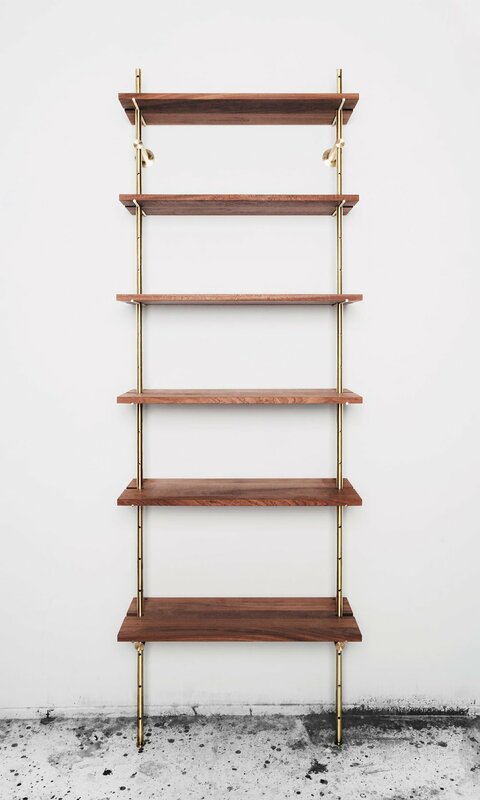 The Brass Rail is an elegantly simple, fully adjustable, semi-wall mounted shelving unit, hand made with superior quality materials. 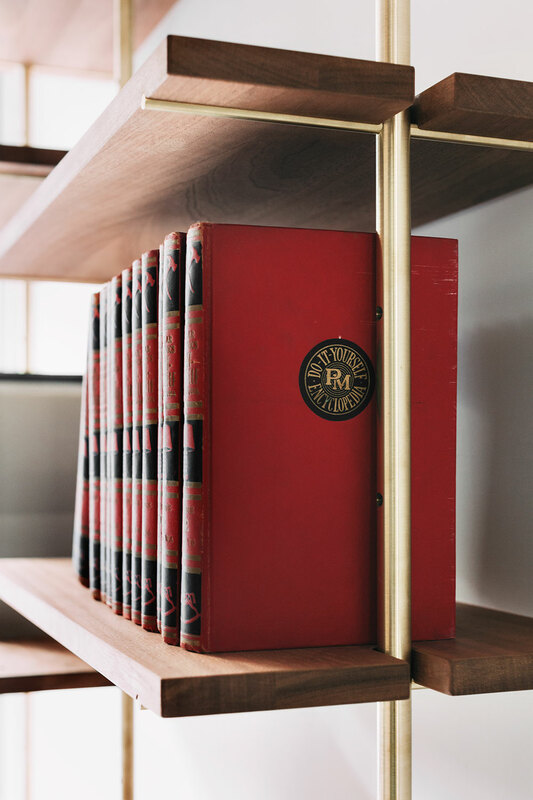 27" wide solid sapele shelves can hold up to 100lbs each — perfect for your collection of heavy art books... or simply as space for decorative items to look their best. 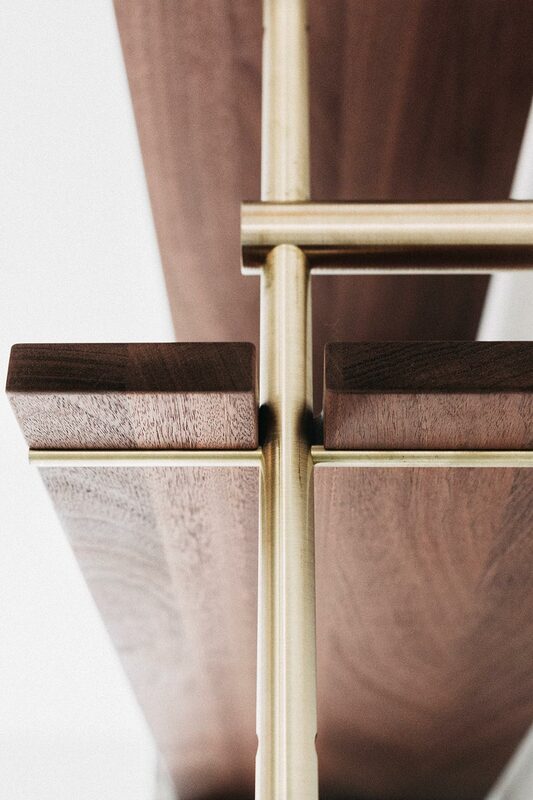 Made with materials as beautiful as they are robust. This is not only a statement piece — it's a functional work horse. 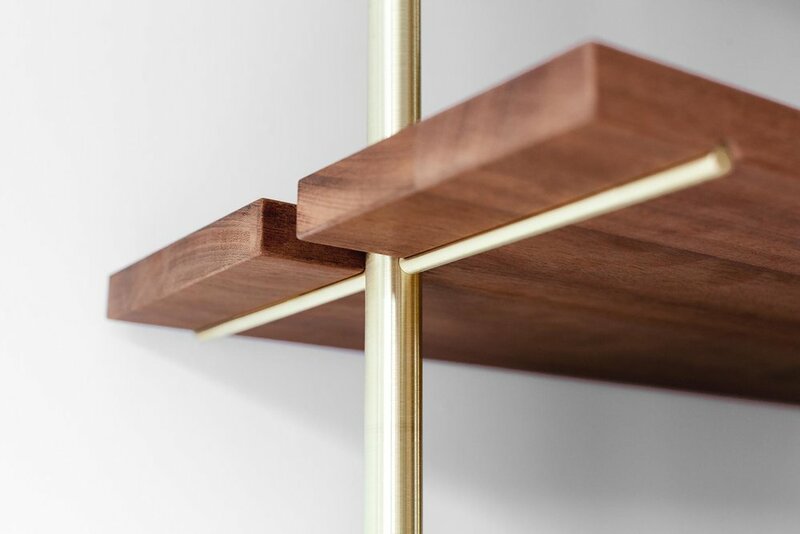 The 27" wide solid sapele shelves can hold up to 100lbs (45kg) each — perfect for your collection of heavy art books... or simply as space for decorative items to look their best. Built to last lifetimes. Sapele is in the same family as mahogany and unlike other types of wood which fade with time, sapele's colour will become darker & richer. 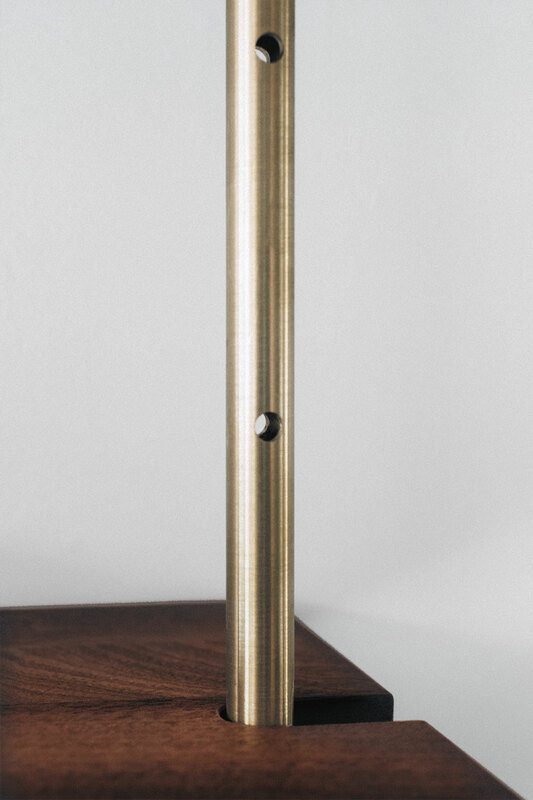 Additionally, the unfinished brass will patina with use, aging gracefully with you and the next generation. Luxurious yet playful. Assembly is easy and reorganizing is fun! Shelves can be mounted at 4" (10cm) increments in up to 21 positions and the adjustable feet will quickly level the unit on unruly floors. Designed to fit. 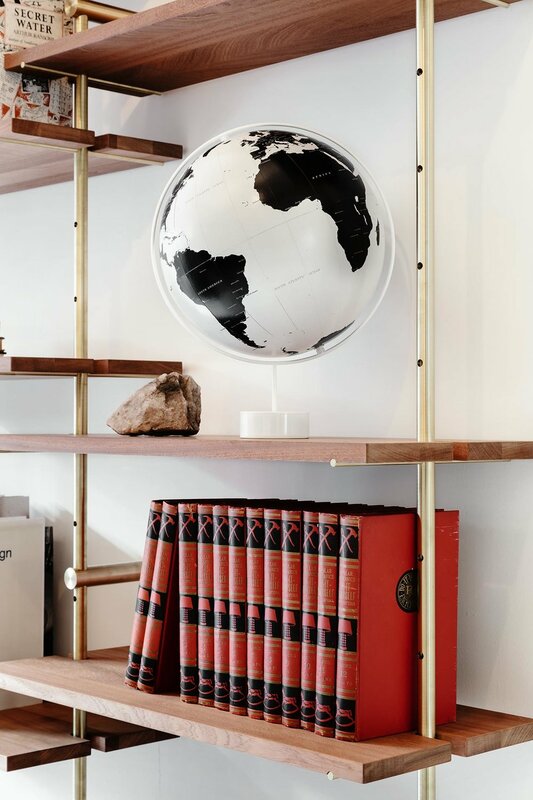 The shelves float 3/4" (2cm) off the wall allowing for space to tuck away cables. 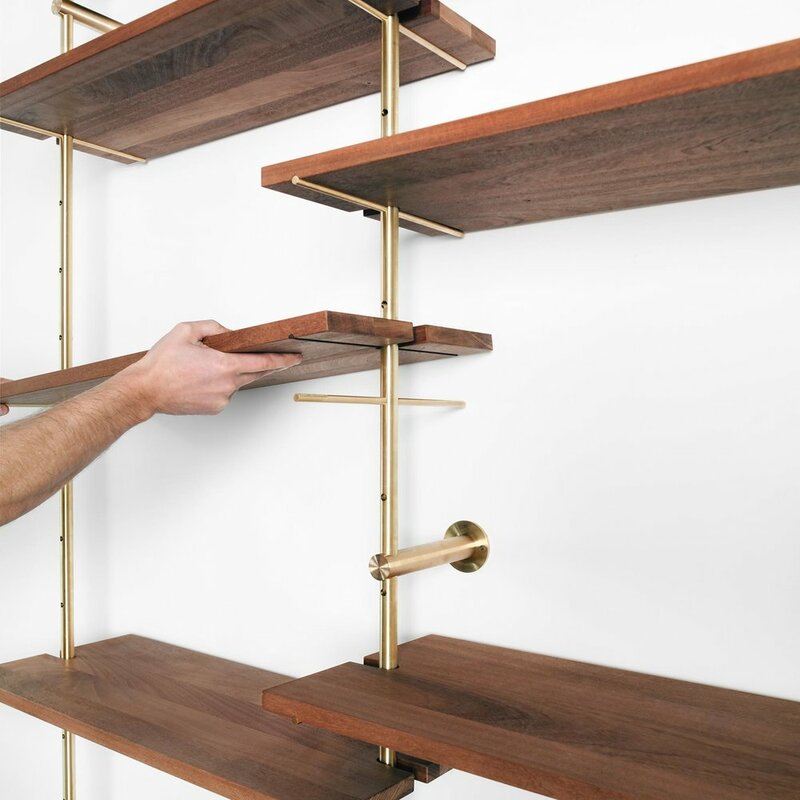 The set comes with two shallow shelves that are reversible — they can either be set towards the wall or set out — to make room for baseboards or other obstructions.